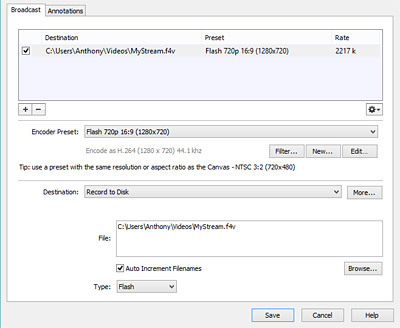 If you want to archive a live stream to your computer, so that you can upload the stream later as a VOD, you can do so through the “record” feature in Wirecast 4. We use Version 4.3.0 in all screenshots and instructions below. *Please note that your screen may look different if you are using a different version of Wirecast. After streaming, click the RECORD button next to Broadcast button (as shown below). 2. 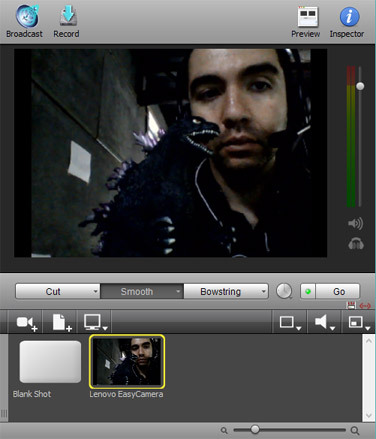 After you click RECORD, a pop-up will ask you to select a name and file location for this recording. 3. After clicking SAVE, click RECORD again until an arrow appears over the icon (as shown below). 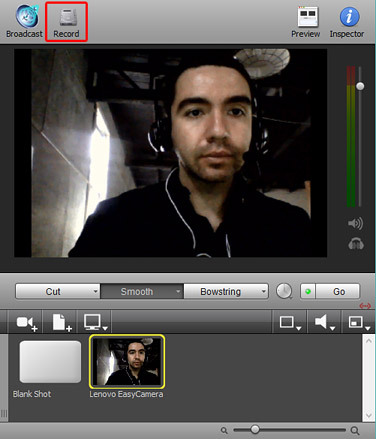 Note: This arrow indicates that Wirecast is recording the stream on your hard drive for future use. 4. You have now archived your stream for future use! If you are using a different version of Wirecast and experience difficulties navigating these instructions, please get in touch with our support team for further support.